William G. Telford, National Cancer Institute; Elizabeth Illy and HÅkan Karlsson, Cobolt AB; and Prashant Prabhat, Semrock Inc.
Flow cytometry is a critical technology for both clinical medicine and basic research in the life sciences. Flow cytometers use lasers, hydrodynamically focused streams of single cells and photon detectors (usually photomultiplier tubes) to rapidly analyze large numbers of cells for a variety of physical characteristics. The technology has allowed detailed study of immunology, characterizing the dozens of individual cell types that make up a normal immune system. This is possible through the use of monoclonal antibodies targeted against specific protein receptors on the surface of immune cells; when the antibodies are coupled to fluorescent tags, they can be detected on the cell surface using the correct laser wavelength, enabling rapid diagnosis of a variety of autoimmune and disease conditions. Thousands of fluorescent probes are available that, theoretically, could be used for flow cytometry. Some could be attached to antibodies and other proteins that can target specific markers on the cell surface. Others, including the expressible fluorescent proteins (such as GFP), could be used to detect gene expression in cells. Fluorescent sensors can be used to measure the health and function of a cell, including cell membrane integrity and electrical potential, mitochondrial function, calcium concentration and DNA content; all of these probes are important for basic cell biology studies. Only a small fraction of available fluorescent probes are regularly used today for flow cytometry, primarily because of the limited number of laser wavelengths traditionally available with legacy argon-ion gas lasers on commercial flow cytometers. Recent advances in diode-pumped solid-state (DPSS) laser technology have increased the number of wavelengths that can be incorporated practically into flow cytometers. DPSS 532- and 561-nm lasers are becoming more common fixtures on these instruments, enabling biomedical nvestigators to use a new variety of fluorescent probes that require green or yellow excitation. However, the gap between yellow 561-nm and red HeNe or diode lasers (630 to 640 nm) has been more difficult to fill. Although orange HeNe lasers emitting at 594 nm have been available for some time, they are very low in power and, thus, rarely incorporated into flow cytometers. Orange HeNe lasers have been integrated into confocal microscopes, enabling the use of orange-excited fluorescent probes by microscopy; however, these applications have not been able to migrate to cytometry. The ability to excite in the 590- to 595-nm range would be very useful because there are a number of fluorescent probes – including some recently developed expressible fluorescent proteins – that are optimally excited by this wavelength range. Orange laser light has been the last major gap in flow cytometric excitation capabilities. Several laser manufacturers have recently developed modules in this range with specifications suitable for fluorescence analysis. An example is the 594-nm Cobolt Mambo (Figure 1), which is available in power levels of 25, 50 and 100 mW, well above the minimum required for cuvette flow cytometry. Figure 1. Orange lasers, such as the 594-nm Cobolt Mambo, will find frequent use in flow cytometry applications. This kind of single-mode DPSS laser is particularly attractive for use in demanding fluorescence analysis applications such as flow cytometry because it provides extremely good power stability, very low intensity noise of less than 0.3 percent rms, and a nearly perfect TEM00 and low divergent beam with M2 <1.1, all characteristics required for good results in cytometry. The laser is based on a frequency-mixed design using proprietary periodically poled potassium titanyl phosphate (PPKTP) technology for optimum flexibility and efficiency. Furthermore, the laser is manufactured into a hermetically sealed and compact package using proprietary HTCure technology for extreme robustness, facilitating integration into benchtop life sciences instruments. Several other manufacturers, including Newport Corp.’s Spectra-Physics Lasers Div. in Mountain View, Calif., and MPB Communications Inc. of Montreal, also produce lasers in the orange range. An example of flow cytometric analysis using a 594-nm module is shown in Figure 2. A Cobolt Mambo 50-mW module was integrated into a BD Biosciences LSR II flow cytometer, and a mouse lymphoma cell line (EL4) was labeled for the cell surface receptor CD44, using antibodies coupled to one of several fluorescent probes. Texas Red is a low-molecular-weight fluorescent molecule that exhibits strong brightness with low autofluorescence background. It can be conjugated easily to antibodies and is an excellent fluorochrome for immunodetection applications. Figure 2. (a) excitation and emission spectra of the fluorochromes Texas Red, allophycocyanin (APC) and APC-Cy7. The 594- and 633-nm laser wavelengths are marked. (b) EL4 mouse lymphoma cells labeled with Texas Red, APC or APC-Cy7 conjugated antibodies against CD44. Open peaks show unlabeled cells, filled peak shows labeled cells. As illustrated in Figure 2a, Texas Red is ideally excited by the 594-nm laser. It often is used in fluorescence microscopy (using the mercury arc lamp’s 577-nm line), but has not seen common use in flow cytometry because this wavelength has not been available for cytometric instrumentation. The 594-nm module excites this probe very well (Figure 2b). The Texas Red replacement Alexa Fluor 594 from Invitrogen of Carlsbad, Calif., has almost identical excitation and emission properties to Texas Red, but is brighter and more photostable; it also can be excited at 594 nm. Allophycocyanin (APC) and its tandem conjugate dye APC-Cy7 traditionally are excited by red HeNe and diode laser sources, as indicated by their excitation spectra (Figure 2a). However, they also can be excited by the 594-nm source and can be combined with Texas Red for multicolor analysis using the orange laser line (Figure 2b). Texas Red, APC and APC-Cy7 are suitable for conjugation to antibodies and immunolabeling of target receptors. Fluorescent proteins, a second class of fluorescent probes, are actually inserted as encodable genes into the cell of interest. When the cell’s gene transcription/translation machinery expresses the protein, it fluoresces when excited with the appropriate laser wavelength. These probes are excellent markers for gene expression and can be used for a variety of other tasks where endogenous expression of the fluorescent probe is desirable. GFP, the best known of these markers, can be well-excited with the familiar 488-nm wavelength. However, recent advances in the field have produced a large variety of fluorescent proteins with excitation peaks in the green-to-red range. The red fluorescent proteins with the longest excitation wavelengths include mPlum, TagFP635 (scientific name mKate) and TurboFP635 (scientific name Katushka) (Figure 3a). These proteins require excitation wavelengths considerably longer than 488 nm but less than the red HeNe or diode range. Red lasers provide poor excitation of these proteins. The 594-nm wavelength is ideal and provides excellent excitation of all three probes (Figure 3b). Figure 3. (a) excitation and emission spectra of the fluorescent proteins mPlum, TagFP635 (mKate) or TurboFP635 (Katushka). The 594- and 633-nm laser wavelengths are marked. (b) SP2/0 cells stably transfected with and expressing mPlum, TagFP635 or TurboFP635. Open peaks show untransfected cells, filled peak shows transfected cells. A variety of other orange-excited fluorescent probes also are available that would be applicable for flow cytometry if the appropriate laser wavelength were available. One such application is the stable tagging of cells with a fluorescent probe, allowing later detection after injection into a laboratory animal. CellTracker Red from Invitrogen is one such protein-binding dye that requires orange excitation. In fact, because red HeNe and diode lasers do not provide good excitation of this probe, the 594-nm source is the only laser that can be used. For researchers and instrument manufacturers to be able to take advantage of these new excitation possibilities in the orange, it also is of critical importance that suitable filters are available. The optical filters must be designed for specific laser wavelength combinations, and they play an important role in maximizing throughput, sensitivity and contrast in fluorescence instruments. The required high-edge steepness, combined with high transmission in the filter passbands and deep blocking of unwanted wavelengths, can be achieved with hard-coated thin-film interference filters. Figure 4 shows hard-coated optical filters specifically designed by Semrock Inc. for a 594-nm laser. Increasingly complex multicolor and multiparameter assays in flow cytometry require simultaneous multiple laser lines and separation of various colored closely spaced emission signals. Figure 4. An example of optical filter spectra (LF594-A laser set from Semrock Inc.) for fluorescence applications that benefit from 594-nm laser illumination. The absorption and emission spectra of TagFP635 (mKate) also are shown. Filters designed specifically for multiplexing up to six or even more laser lines, including Semrock’s 594-nm line, are now available. For instance, the company’s LaserMUX filters enable combining multiple laser beams with exceptionally low loss and facilitate the adding of orange excitation capability into flow cytometers and other fluorescence analysis instruments. Collectively, these data show a number of examples where 594-nm laser excitation can enhance our ability to analyze cells by flow cytometry. This laser wavelength fills a significant excitation gap between the now common 561-nm line and the red laser sources. Adding this wavelength to the excitation repertoire enables excitation of virtually any visible fluorescent probe for cytometric analysis. William Telford is head of the FACS Core Facility at the National Cancer Institute’s Experimental Transplantation and Immunology Branch in Bethesda, Md. Elizabeth Illy is director of sales and marketing at Cobolt AB in Solna, Sweden; e-mail: elizabeth.illy@cobolt.se. Håkan Karlsson is CEO at Cobolt AB. Prashant Prabhat is an applications specialist at Semrock Inc. in Rochester, N.Y.
W.G. Telford (2004). Small lasers in flow cytometry. T.S. Hawley and R.G. Hawley, eds. Methods in Molecular Biology, Vol. 263. London, Humana Press, pp. 399-418. W.G. Telford and C.R. Hubert Jr. (2006). Solid-state lasers expand flow cytometry probe library. 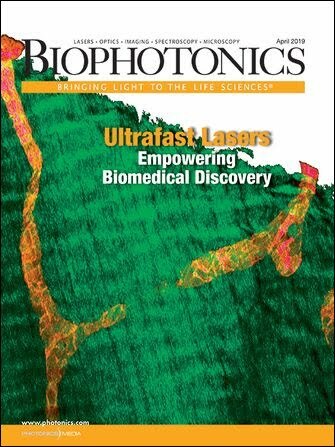 Biophotonics Intl, Vol. 13, February 2006, pp. 50-53. S.P. Perfetto and M. Roederer (2007). Increased immunofluorescence sensitivity using 532-nm excitation. Cytometry Part A, Vol. 71A, pp. 73-79. W.G. Telford et al (2005). DPSS yellow-green 561-nm lasers for improved fluorochrome detection by flow cytometry. Cytometry Part A, Vol. 68A, pp. 36-44. V.V. Verkhusha and K.A. Lukyanov (2004). The molecular properties and applications of Anthozoa fluorescent proteins and chromoproteins. Nature Biotechnol, Vol. 22, pp. 289-296. D.M. Chudakov et al (2005). Fluorescent proteins as a toolkit for in vivo imaging. Trends Biotechnol, Vol. 23, pp. 605-613. N.C. Shaner et al (2004). Improved monomeric red, orange and yellow fluorescent proteins derived from Discosoma sp. red fluorescent proteins. Nature Biotechnol, Vol. 22, pp. 1567-1572. V. Kapoor et al (2007). New lasers for flow cytometry: Filling the gaps. Nature Methods 4, pp. 678-679.